By leveraging upon our huge industry experience, we provide the best array of River Sand. These are in various sizes as per customers need. We supply Screened River sand, grain Size below 4mm, use for construction work, Bricks work, Plastering, RCC work of Buildings, Roads, Dams etc. We have our own automatic screening plant on River of Saraswati (North Gujarat) having capacity of 100 MT per Hour i.e.1000 MT per day. 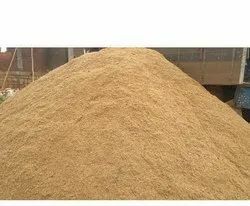 The river sand is used in every process of buildings and flooring.The sand is available in various sizes according to the requirement of the clients. 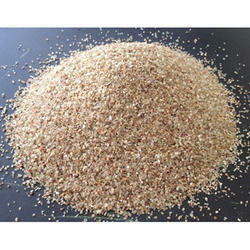 Manufacturer & Supplier of River Sand. Silica or SiO2 is present in large quantities throughout the earth's surface in various forms. Its low coefficient of thermal expansion is the principle reason for its use in objects exposed to a wide range of heat and cold. Its principle use is in the manufacture of glass. Our range of chemical sand is competitive including Flooring Sand.